The all new X-Cursion electric bike is a sleek and powerful lithium powered electric bike that easily folds in half for transportation. The battery is now located inside the frame of the bike and completely hidden! 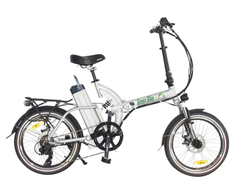 A new zero resistance 300 watt motor gives this folding electric bike adequate power, making it ideal for using on back trails where you will need to climb hills. The battery is now located inside the frame, making it sleek clean looking. The battery capacity has been upgraded from 8 amps to 10 amps to allow more riding before stopping for a re-charge (Over 20 Miles). 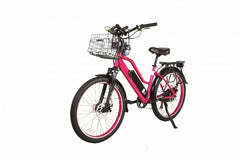 The bike is an excellent choice for those looking for something versatile and easy to transport. 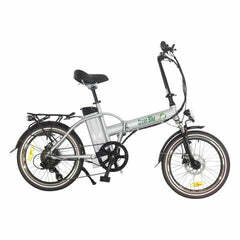 The front wheel is a quick release and can be easily removed while transporting. It comes equipped with a twist throttle and a pedal assist system. Simply press the red button and the PAS (Pedal Assist System) turns on. 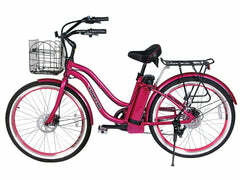 This allows for a smooth and natural ride with the motor making your pedaling easier. No need to turn a throttle, just relax and enjoy the ride. TWIST THROTTLE GIVES YOU POWER ON DEMAND! 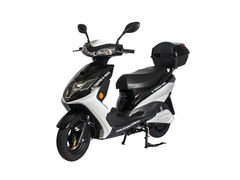 Simply turn the throttle and you can use the electric power just like a motorcycle. Coming to a big hill? Just use the power as you need it by turning the throttle. It's guaranteed to put a smile on your face! Be seen at night if you choose to ride after dark. Will absorb bumps and uneven surface to keep you in control. Never get stranded, monitor your battery level during rides. 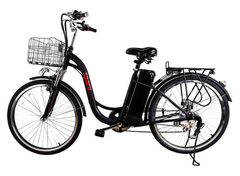 Rear rack will allow you to add paniers or even a heavy duty storage box for rides. You will receive two sets of keys with each purchase. Use the keys to lock and unlock your battery when removing and replacing it after charging. 1. Twist Throttle: Twist the throttle and get an immediate boost from the motor. 2. Pedal Assist: Press the PAS button (Power Assist System), and you will be in pedal assist mode.In this mode pedaling is easier, and increases output. Click here to read about twist throttle and pedal assist modes. 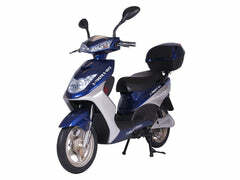 Throttle Type: Twist Throttle (Throttle on handlebar for power) or Pedal Assisted (Just pedal for assistance). NOTE: This bike comes mostly assembled. Wheel + pedal attachment is required. We are always trying to satisfy our customers with prompt service. We ship orders Monday thru Friday, and they are usually sent out within 1-2 business days. So, if your order was placed on a Monday, it will be sent out either that Monday, Tues, or Wednesday. If your order was placed on a Friday, it will either be sent out that Friday, or the following Monday/Tuesday. If there is an instance where your bike cannot be shipped within two days, you will be notified via e-mail. Most bikes are shipped out via Fedex or UPS Ground Service. 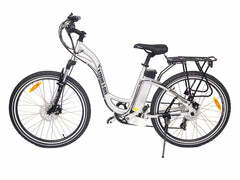 Some electric bikes and other large items (electric mopeds), are sent through Freight Shipping. 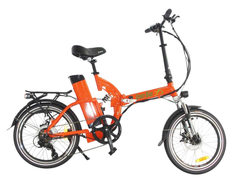 All electric bikes are packaged to the highest standards to avoid damage during shipping, and also make the assembly process quick and easy for customers. The boxes are reinforced with zip ties to increase the rigidity and foam inserts to prevent the packages from caving in at the corners. The bikes are also covered with packaging to prevent any scratches during shipment. IS MY ORDER INSURED AGAINST DAMAGE? Each product sent out is fully insured against liability of damage to the customer. If a bike is received with any damage, please contact us to explain the issue. A replacement bike or part will be sent out to remedy the situation. While we take great care to package and ship our electric bikes, we cannot control how each shipping provider will handle any given package. Most products arrive in excellent condition due to our superior packaging, if there's any issue with any product you receive please contact us. We will send tracking information to the customers e-mail address as soon as it becomes available to us. Make sure to provide a valid e-mail address at check-out. In some situations including Freight Shipment, it may take an extra 1-2 business days for the tracking information to become available. IS SIGNATURE REQUIRED FOR DELIVERY? Signatures are not required unless requested by the customer at check-out. Please contact us for shipping quotes to Hawaii and Alaska. We do not provide Free Shipping to these locations. We do not ship products internationally at this time. Our primary goal at Electro Pedal is customer satisfaction. If you are unsatisfied with your order, you may return it for a full refund. Email us at info@electropedal.com to notify us that you will be making a return. Returns are processed through the manufacturer and must be initiated within 14 days of delivery to customer. We will not accept any returns after the 14 day deadline. As soon as the return is processed by the manufacturer, a refund will be issued to the credit card used at time of payment. The customer is solely responsible for return shipping costs. It is ultimately up to the customer to pay for any cost during the return process including but not limited to purchasing a shipping label and packaging the bike. All products returned must be in new re-sellable condition, with no visible defects. Any items that show any wear such as dirt on the tires or scratches will not be eligible for a refund. 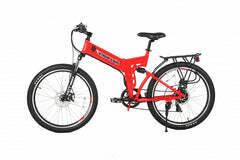 Take the bike to a local battery or electric bike shop and have them certify what is not functioning properly or defective. 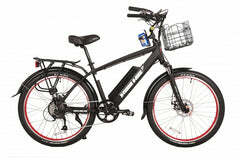 The written certification must be forwarded to us via e-mail at info@electropedal.com. Upon receipt of the certification, the manufacturer of the product will send out replacement parts or a new product to resolve the issue, it is at their digressions. Send us a copy of the receipt from the diagnostics testing and we will reimburse the customer the full amount of the service. 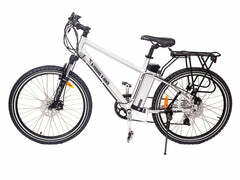 In the case of a defective part where the customer wants to make a return of the bicycle, they are solely responsible for return shipping. If you wish to cancel your order and it is still before shipment, you may do so by e-mailing us at info@electropedal.com, make sure to include your name and order number. If the product has been shipped, the order may not be cancelled and the customer will have to initiate a return.